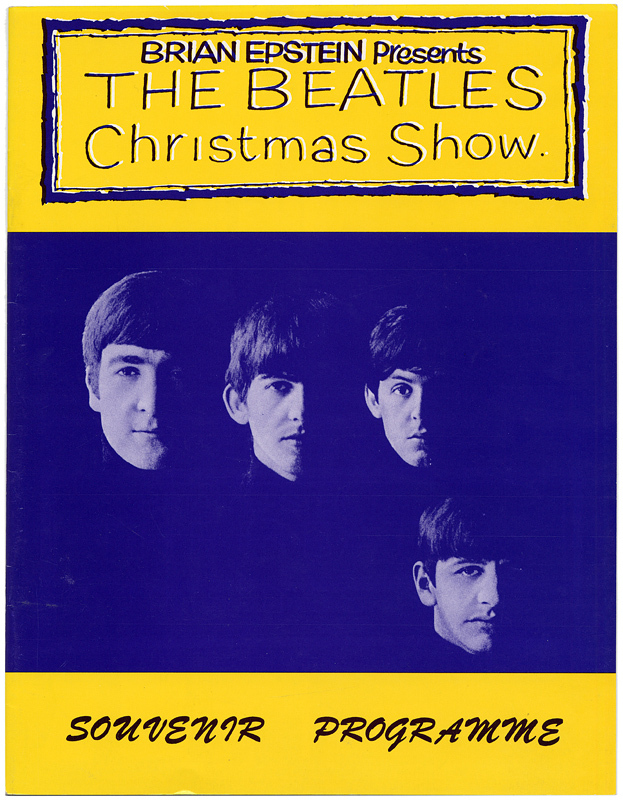 Beatles manager Brian Epstein conceived a variety program to showcase the Beatles and on October 21, 1963 tickets went on sale for their Christmas Show. 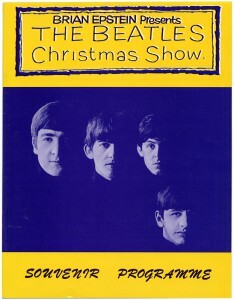 By November 16, 1963 the show sold out…all 100,000 tickets! 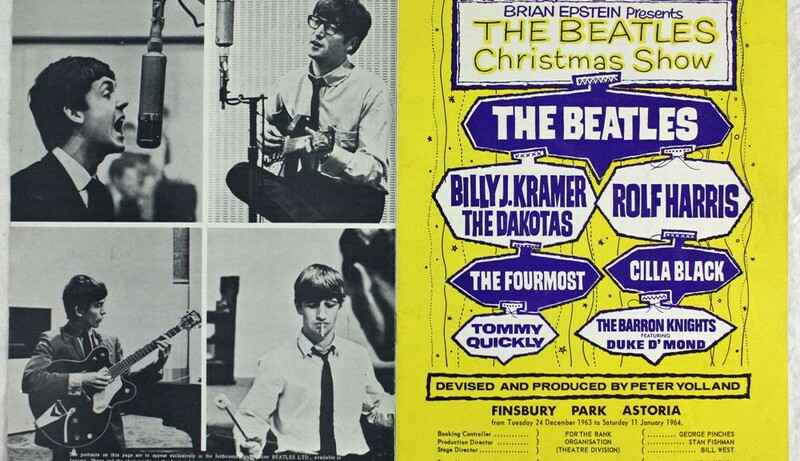 On December 24, 1963 The Beatles Christmas show began its run at the Astoria Cinema in Finsbury Park, London for 16 nights, ending on 11 January 1964. There were 30 shows altogether with two performances on each day, except for December 24 and 31 when only one took place. 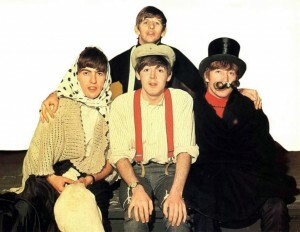 On 25 and 29 December and 5 January The Beatles had the night off. The first act, with five minutes on stage, were the Barron Knights and Duke D’Mond. Next came short sets from Tommy Quickly and The Fourmost, and Billy J Kramer and The Dakotas closed the first half. Following the interval there was a return from the Barron Knights and Duke D’Mond, then Cilla Black, and Rolf Harris. The Beatles were the final act, with performances lasting 25 minutes. Their setlist was: Roll Over Beethoven, All My Loving, This Boy, I Wanna Be Your Man, She Loves You, Till There Was You, I Want To Hold Your Hand, Money (That’s What I Want) and Twist And Shout. In between acts The Beatles did a number of skits. I was a St John Ambulance Brigade Cadet …on duty at the concert on Christmas eve. I spent most of the evening carrying hysterical young females out of the concert hall, many had discarded their underwear and thrown it towards the stage. Quite an experience for a sixteen year old. My next duty was on Boxing Day at the Royal Albert Hall for a ballet, what a contrast. Click a link for additional information: Chris Hunt blog, or try the Beatles Bible site.